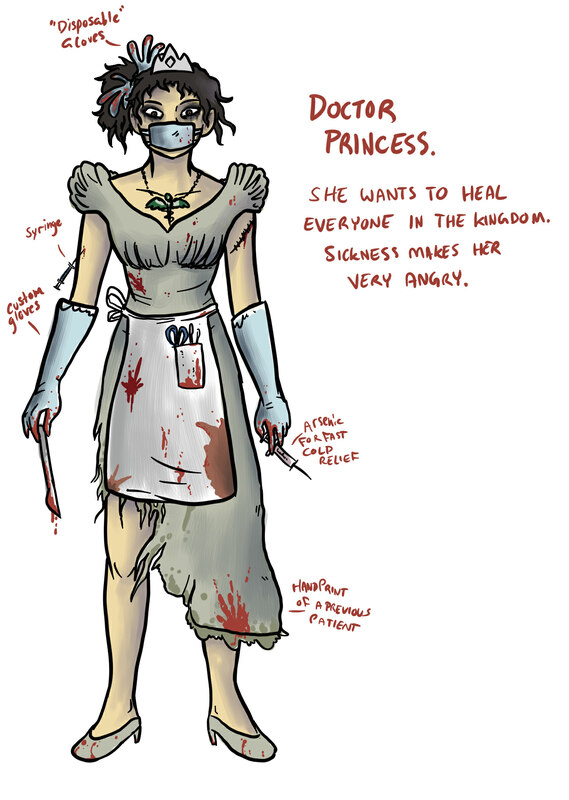 After decades of governmental sickness, Doctor Princess has decided to heal everyone in the kingdom. Once she came down to help people, she caught an infection that causes dementia. Because of this, she believes that she is seeing sickness in people and uses old fashioned, and highly taboo ways of "curing" them. To be real though, she's developed a bloodlust and enjoys toying with people and murdering. Once a person, now a monster, there is no saving her.